I have a secret I would like to share with you. Turns out self publishing isn’t so new. In fact, it’s older than “traditional” publishing. Maybe you’re not totally surprised. Personally, I had been coming to this conclusion slowly, over time. And in no way do I have great knowledge of the history of publishing. 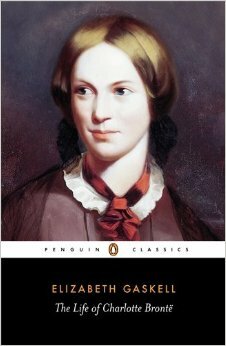 But I have been reading The Life of Charlotte Bronte by Elizabeth Gaskell (review forthcoming) and I have been amused and heartened by Bronte’s journey and struggles as a writer. Let’s start with this: Bronte’s struggles are way more similar to mine–as a modern indie publisher–than I had expected. We are not only similar in the moral, emotional, and even social struggles we face, but we also actually do many of the same things. To begin with, Bronte paid for her publication (which, thanks to POD, is actually less expensive now than it used to be), chose her paper, the size of her book, and dictated its appearance, edited and copy-edited her work, sent out review copies (at her own expense), managed advertising (and paid for that, too), closely monitored her reviews (which were only official, back in the day), etc. Hey, I do all these things! When I was growing up an aspiring author, I was given the impression that all writers did was write. Then they made a killer cover letter and sent it out to up to hundreds of agents or editors. Then they cashed a royalty check and, while approving edits, wrote again in between making authorly appearances. Of course, this idea was outdated already by the time I had become a working adult, but before POD and e-books it was mostly in that authors were also doing their own marketing on their own dime (including book tours and launches). But while most aspiring authors still remained oblivious to this truth, PODs and e-books did happen and, and whole new world of self-publishing erupted. Except, maybe it wasn’t new. Maybe it was old as the hills, just with some new features (like with those wonderful PODs I keep mentioning). I have occasionally heard some self-pubber get all excited about a fact like, “Walt Whitman/Jane Austen/Charles Dickens self published!” I’m beginning to think–even while I am more than happy to be in such great company–that these little facts are not very novel. In fact, it would be surprising if any early authors were NOT self-published. Being paid for a book–especially a first book–before sales, was way less common in a not-so-distant past. Actually, I’m not sure it ever happened for a long, long time after the invention of the printing press. Even authors writing periodicals or printing in periodicals often (or always?) did it on their own initiative and with their own centimes. Publishers, at one time, seemed to be more of a place to print and distribute, as opposed to cull the country for the best writing and take the financial burden and publicity on, themselves. Sound familiar? Self-printing is what self-pubbing guru Catherine Ryan Howard calls modern self publishing, because the modern self publisher (or indie publisher) basically does all the work themselves (or contract it out), takes on all the fiscal responsibility, and uses publishing houses like CreateSpace and Lulu as printers. While royalties are a favorite subject online, I could not find a date for the first paid royalties for publishing. I would guess that authorship as I was told it growing up came about no earlier than the twentieth century. Certainly, marketing was at best a mix between author and publisher in the nineteenth century. Perhaps distribution was aided about that time. the credit question. Did she want fame or celebrity? Did she want others to know what she had written? And once she was accomplished, how could she write to that credit? Could she become obscure again? gender issues. Bronte and her sisters infamously hid their gender behind pseudonyms because they feared not being taken seriously. They also wrote many things that were condemned largely because they were women, and were accused of crudeness. culture issues. The sisters Bronte felt obliged to write about the current issues. Anne especially considered it her duty to expose with her writing. motivational questions. Do you write from the heart or write for money? As all authors do, Bronte changed her stance on this from time to time, and was never purely on one side or the other. It is, after all, a career, and Bronte began writing novels as a means to make money, but do it in an avenue where she suspected talent and where she could retain the most freedom to live as she wanted to. rejection. 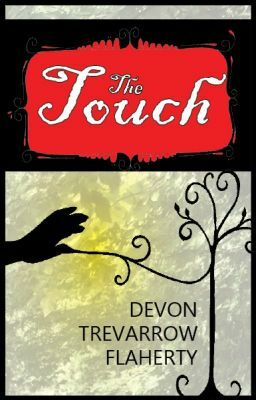 I would not recommend this, actually, but Bronte minutely followed her reviews and reviewers. She considered their opinions to be like further editing, and she wrote her next novel with all of them in mind. Conversely, she had many areas in which she was loathe to change. See below. Rejection stung her, just like us. bad publishers and good ones. Bronte had a very admirable relationship with her publishers until a relationship issue later in her short life, but her sisters’ publishers gave them, and even her, no end of grief. Delayed publishing dates were just the beginning. perfection in writing. When is a novel done? Gaskell says that Bronte struggled one sentence at a time. She would play with each word in her mind until she had it just as she wanted, then would set the sentence down exactly as intended. taking advice versus following her instinct. She wanted to hear the advice, but it sometimes pitted others against her writerly instinct. writing from what she knew. These days, it would be unthinkable to pull events and characters from life to the extent that Bronte did. It has been said that some of her most “imaginative” characters and scenes were simply pulled from who she knew and what she saw. She openly admitted to this. having limited experiences. Yes, there is always fantasy writing, but Bronte was no fantasy writer. She considered that stories had to reproduce reality on some level, and she would never dare write about a place she had not been. Unfortunately (or fortunately), her scope of experience was quite limited. daily duties versus working as a writer. This is one of my own greatest struggles as a writer, so I was glad to see I was not alone. Bronte was known for never letting her daily duties falter. She would clean the house, make the meal, take care of her dad, visit the parsonage, and then settle down to write that next chapter which had been wheedling at her all day. She had a very intense sense of duty, and–had she lived much longer–she might have subverted her next novel to her (new) wifely and motherly duties. In fact, I strongly suspect we never would have seen another book, had she lived. being a woman writer. I have blogged about this before, but being a woman writer is a different thing from being a man writer. Bronte struggled with all the same facets of a woman writing that I still do. the calling and responsibility of talent. inspiration. Bronte and I part opinions, here, but she only wrote when she was physically able (she was very sickly) and also inspired. She would go months without writing if she did not feel it. She would also write furiously, rarely sleeping, when she did. knowing thyself. She was convinced Shirley was better than Jane Eyre, and was somewhat baffled by the public consensus. “Surely, in this day when there is not a writing poet worth a sixpence, the field must be open, if a better man can step forward” (p118). “Many volumes of poems are now published every year without attracting public attention, any one of which, if it had appeared a half a century ago, would have attained a high reputation for its author. Whoever, therefore, is ambitious of distinction in this way out to be prepared for disappointment” -Robert Southey (p122). “Write poetry for its own sake; not in a spirit of emulation, and not with a view to celebrity” -Robert Southey (p123). “You kindly allow me to write poetry for its own sake, provided I leave undone nothing which I ought to do, in order to pursue that single, absorbing, exquisite gratification” (p124). “…for sometimes when I’m teaching or sewing I would rather be reading or writing” (p125). “…such a strong wish for wings–wings such as wealth can furnish; such an urgent thirst to see, to know, to learn; something internal seemed to expand bodily for a minute” (p163). “If I could, I would always work in silence and obscurity, and let my efforts be known by their results” (p167). “The great puzzle lay in the difficulty of getting answers of any kind from the publishers to whom we applied” (p228). “It is evident that unknown authors have great difficulties to contend with, before they can succeed in bringing their works before the public” (p234). “Currer Bell’s book found acceptance nowhere, nor any acknowledgement of merit, so that something like the chill of despair began to invade his heart” (p245). “One set of words was the truthful mirror of her thoughts; no others,however apparently identical in meaning, would do” (p246). “Charlotte told me, that the remarks made had seldom any effect in inducing her to alter her work, so possessed was she with the feeling that she had described reality” (p247). “These ideas sting me keenly sometimes; but, whenever I consult my conscience, it affirms that I am doing right in staying at home [and writing], and bitter are its upbraidings when I yield to an eager desire for release” (p248). “People often think they can do great things in that way till they have tried” (p248). “When a man becomes an author, it is probably merely a change of employment to him. He takes a portion of that time which has hitherto been devoted to some other study or pursuit …. and another merchant, or lawyer, or doctor, steps into his vacant place, and probably does well as he. But no other can take up the quiet, regular duties of the daughter, the wife, or the mother, as well as she whom God has appointed to fill that particular place: a woman’s principal work in life is hardly left to her own choice; nor can she drop the domestic charges devolving on her as an individual, for the exercise of the most splendid talents that were ever bestowed” (p273). “And yet she must not shrink from the extra responsibility implied by the very fact of her possessing such talents. She must not hide her gift in a napkin…” (p273). “When authors write best, or, at least, when they write most fluently, an influence seems to waken in them, which becomes their master–which will have its way…” (p274). “No doubt, however, you are, as I am, prepared for critical severity; but I have good hopes that the vessel is sifficiently sound of construction to weather a gale or two, and to make a prosperous voyage for you in the end” (p322). “Out of obscurity I came, to obscurity I can easily return” (p323). “That matters little. My own conscience I satisfy first” (p326). “My present endeavors are directed towards recalling my thoughts, cropping their wings, drilling them into correct discipline, and forcing them to settle to some useful work: they are idle and keep taking the train down to London…” (p348). “…it seems to me that bitter sorrow, while recent, does not flow out in verse” (p357). “Besides, I don’t deserve to go to London; nobody merits a change or a treat less. I secretly think, on the contrary, I ought to be put in prison, and kept on bread and water in solitary confinement–without even a litter from Cornhill–till I had written a book” (p374). “Originality is the pearl of great price in literature–the rarest, the most precious claim by which an author can be recommended” (p393). “When the mood leaves me …. I put by the MS and wait till it comes back again” (p396). “People are apt to conceive, or at least to profess, exaggerated expectation, such as not performance can realise: then ensue disappointment and the due revenge, detraction, and failure. If when I write, I were to think og the critics who, I know, are waiting for Currer Bell, ready ‘to break all his bones or ever he comes to the botton of the den,’ my hand would fall paralysed on my desk. However, I can but do my best, and then muffle my head in the mantle of Patience…” (p397). “And yet you must follow the impulse of your own inspiration. If that commands the slaying of the victim, no bystander has a right to put out his hand to stay the sacrificial knife” (p407). “Work first, then pleasure” (p412). “I should be most thankful for the sheltering shadow of an incognito. I seem to dread the advertisements–the large-lettered ‘Currer Bell’s New Novel,’ or ‘New Work, by the Author of Jane Eyre'” (p413). “I cannot write books handling the topics of the day… Nor can I write a book for its moral …. To manage these great matters rightly, they must be long and practically studied–their bearings know intimately, and their evils felt genuinely; they must not be taken up as a business matter, and a trading speculation” (p414). “I said my prayers when I had [finished Villette]. Whether it is well or ill done, I don’t know” (p418). “…she had never, to her knowledge, taken a grain of [opium] in any shape, but that she had followed the process she always adopted when she had to describe anything which had not fallen within her own experience; she had thought intently on it for many and many a night before falling to sleep,–wondering what it was like or how it would be,–till at length, sometimes after the progress of her story had been arrested at this one point for weeks, she wakened up in the morning with all clear before her, as if she had in reality gone through the experience, and then could describe it, word for word, as it had happened. I cannot account for this psychologically; I only am sure that it was so, because she said it” (p437). 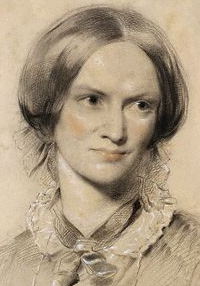 “I recollect, too, her saying how acutely she dreaded a charge of plagiarism, when, after she had written ‘Jane Eyre,’ she read the thrilling effect of the mysterious scream at midnight in Mrs. Marsh’s story of the ‘Deformed.’ She also said that, when she read the ‘Neighbours,’ she thought every one would fancy that she must have taken her conception of Jane Eyre’s character from that of Francesca, that narrator of Miss Bremmer’s story” (p438).